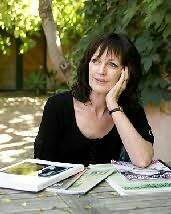 Joan London is an award-winning Australian author of short stories, screenplays and novels. She was born in Perth, Western Australia. She graduated from the University of Western Australia having studied English and French, has taught English as a second language and is a bookseller. She lives in Fremantle, Western Australia, with her husband Geoff. "A love story turns into a Cold War thriller: a beautifully, tautly written novel. I could not put it down." "An immense work of love and anger." "A lyrical coming-of-age tale and an historical crime novel, lit by something fresh, honest and generous."